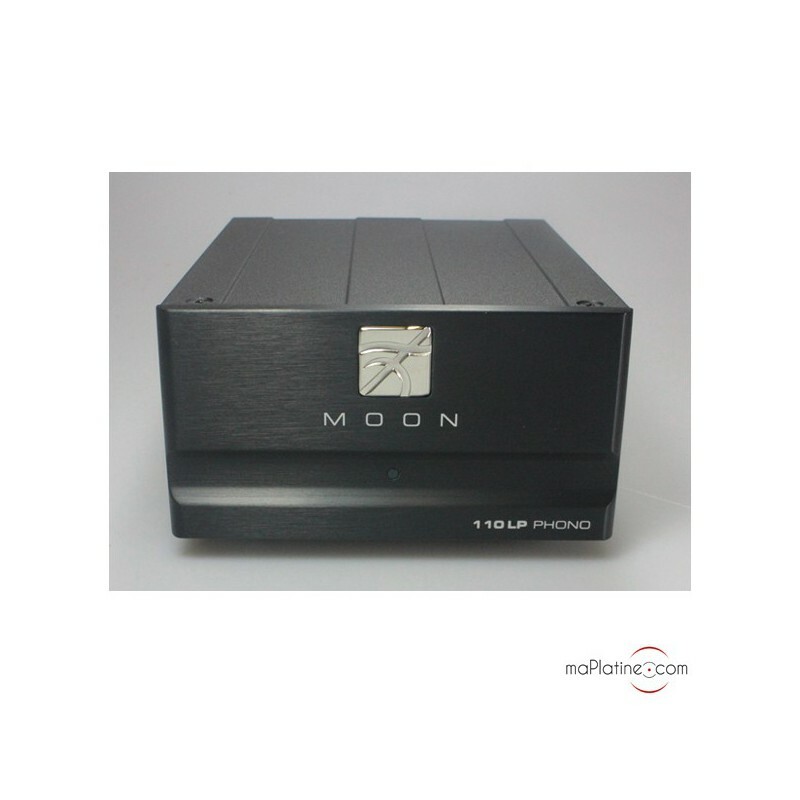 MM and MC Phono preamp Impedance, capacitance and gain are adjustable. 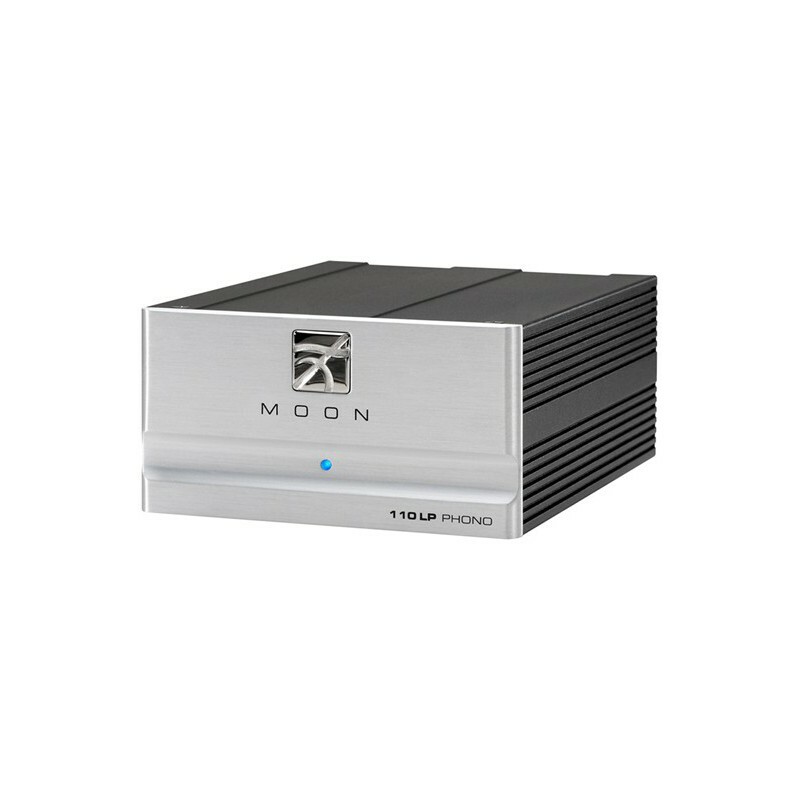 The Moon 110 LP phono preamplifier is replaced by the Moon 110 LP V2 phono preamplifier. 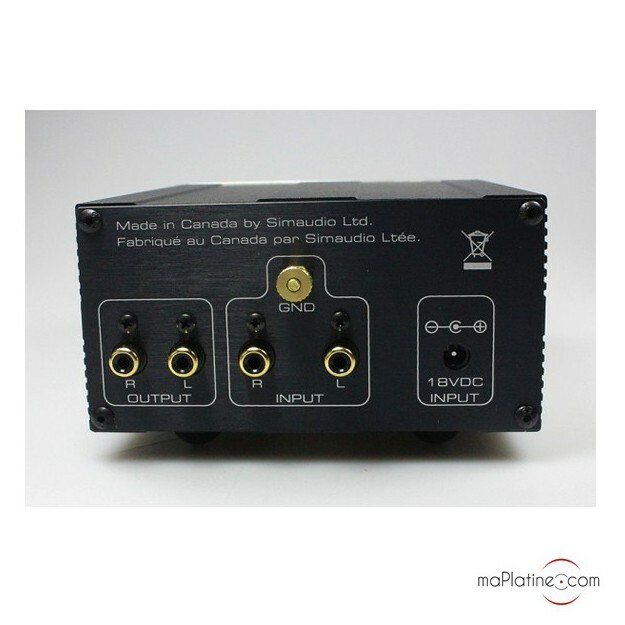 This great phono preamplifier is Canadian manufacturer SIM AUDIO's entry-level model that clearly has high-end performances. 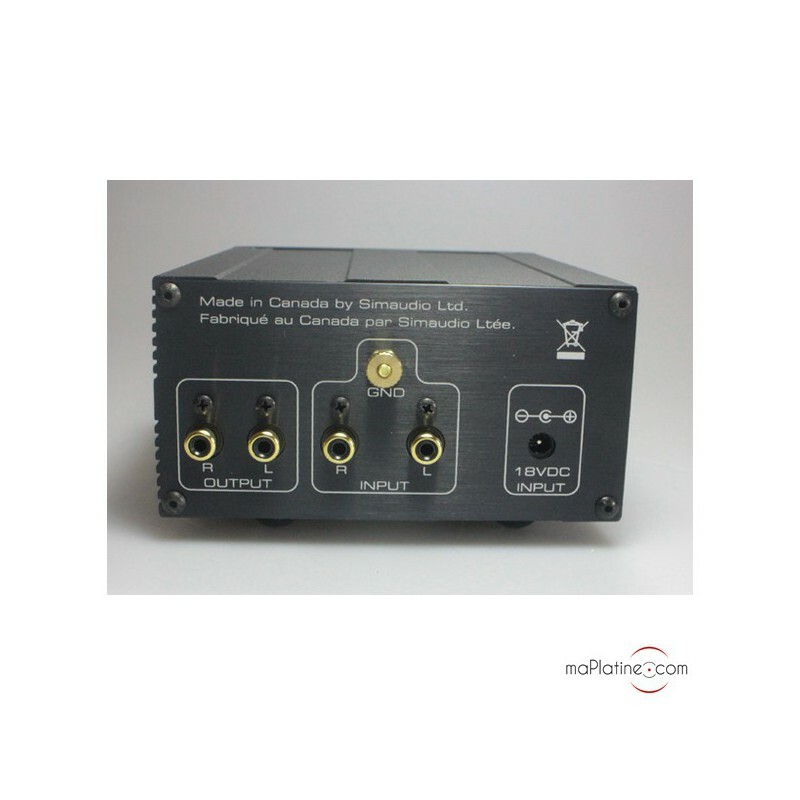 It is compatible with MM and MC cartridges and has internal jumpers for the selection of the gain (40 or 60 dB), load (100 or 47 KOhm) and capacitance (0 or 100pF). 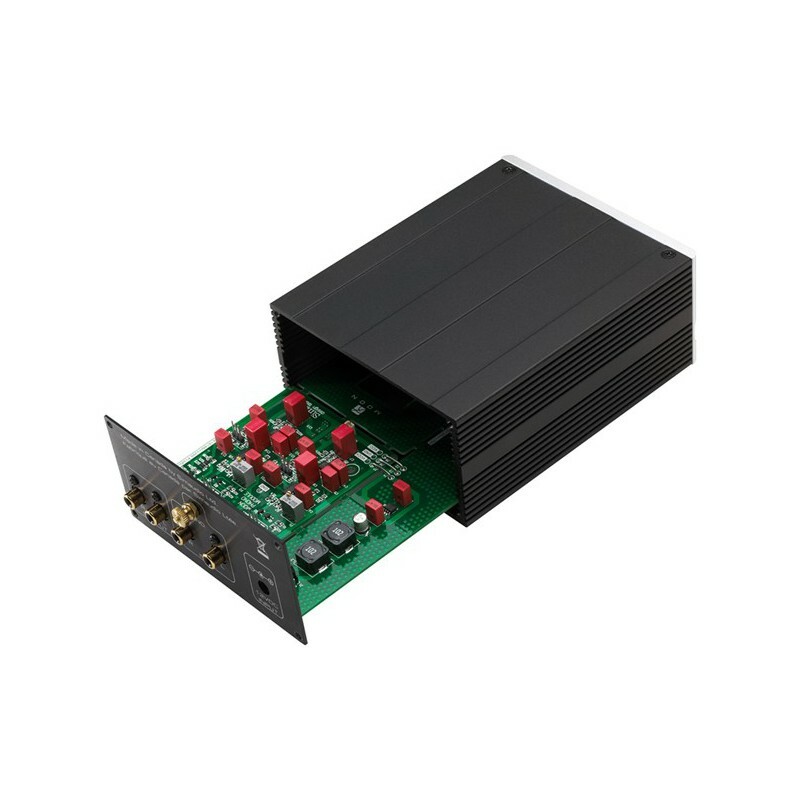 The circuit and components are military grade. 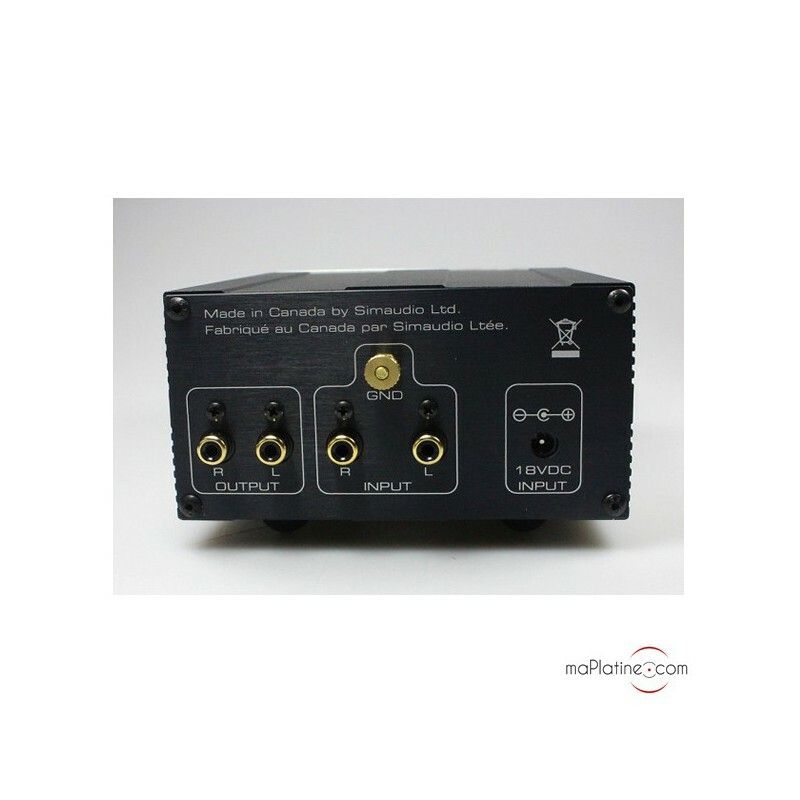 All the copper connectors have been optimised to deliver a low impedance. 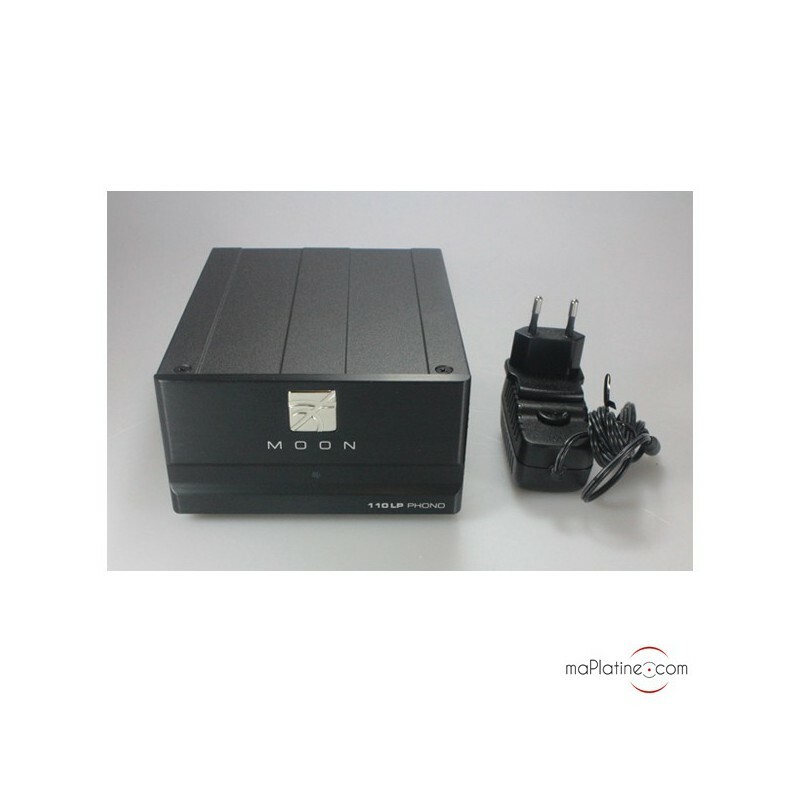 It has an outboard power supply, delivering a 12 Vdc current with meticulous filtering and regulation. 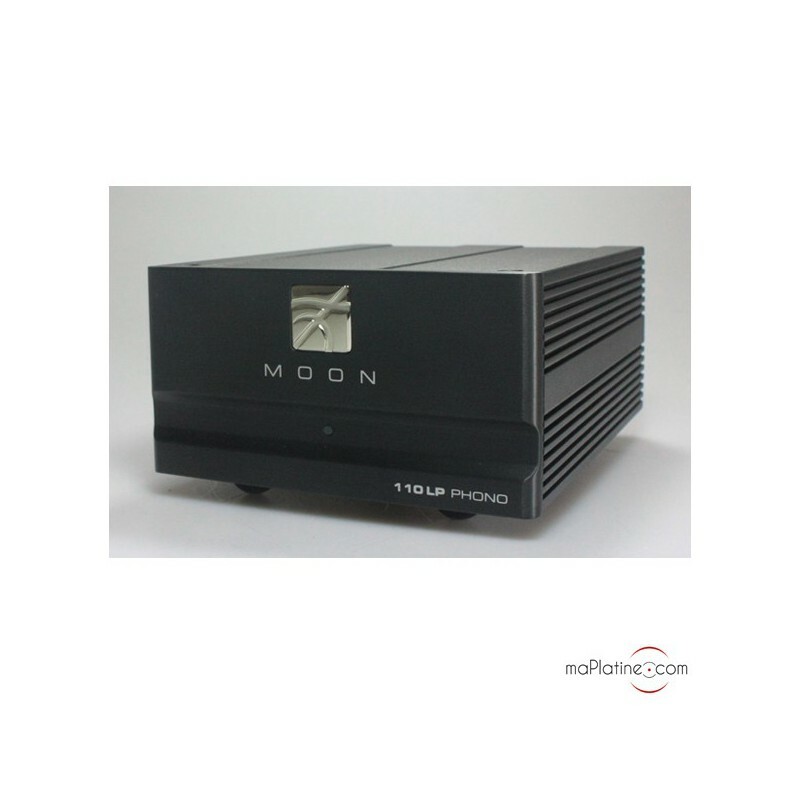 The housing is made of aluminium, with a beautiful brushed front panel, either with a natural or black finish. 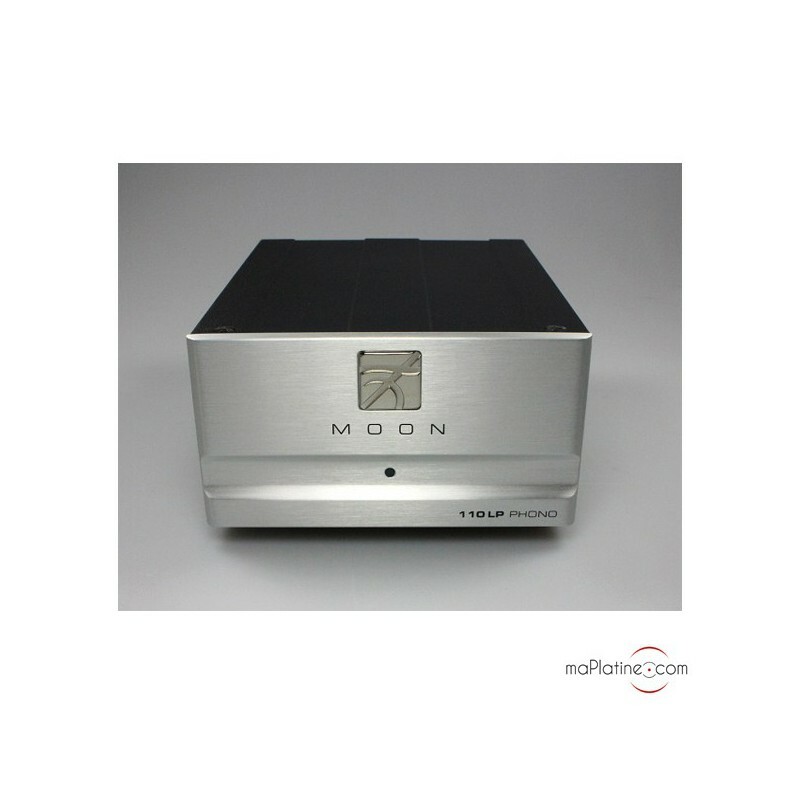 We paired it with an MM and MC cartridge in the same range, hence not exceeding a price of €800, although this little box is certainly capable of driving a higher end cartridge. 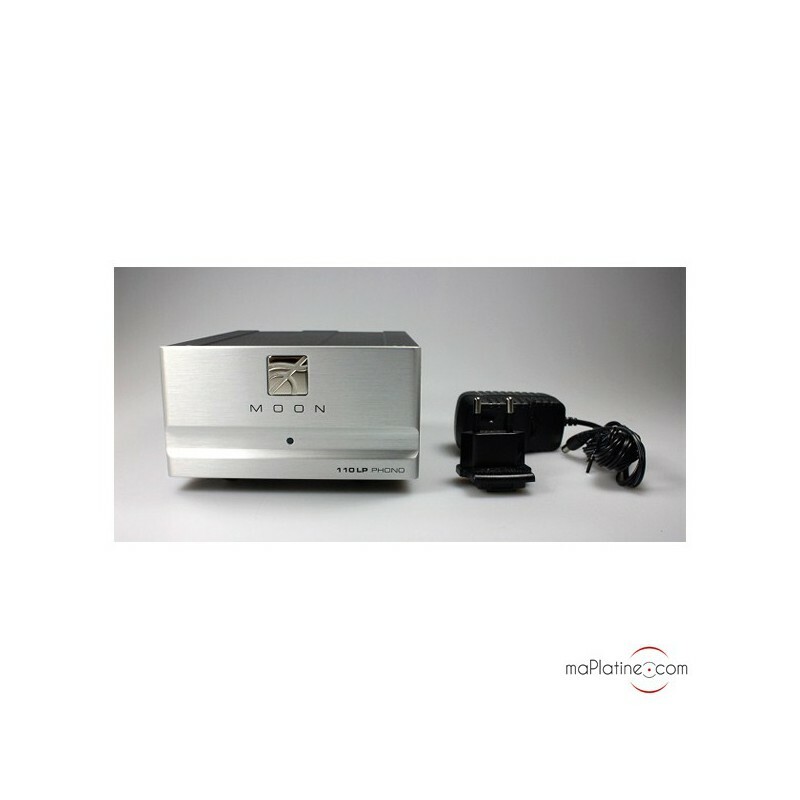 We can safely say that this MOON 110 LP is surprising on several accounts: first of all it has amazing dynamics, the transients are extremely authentic. 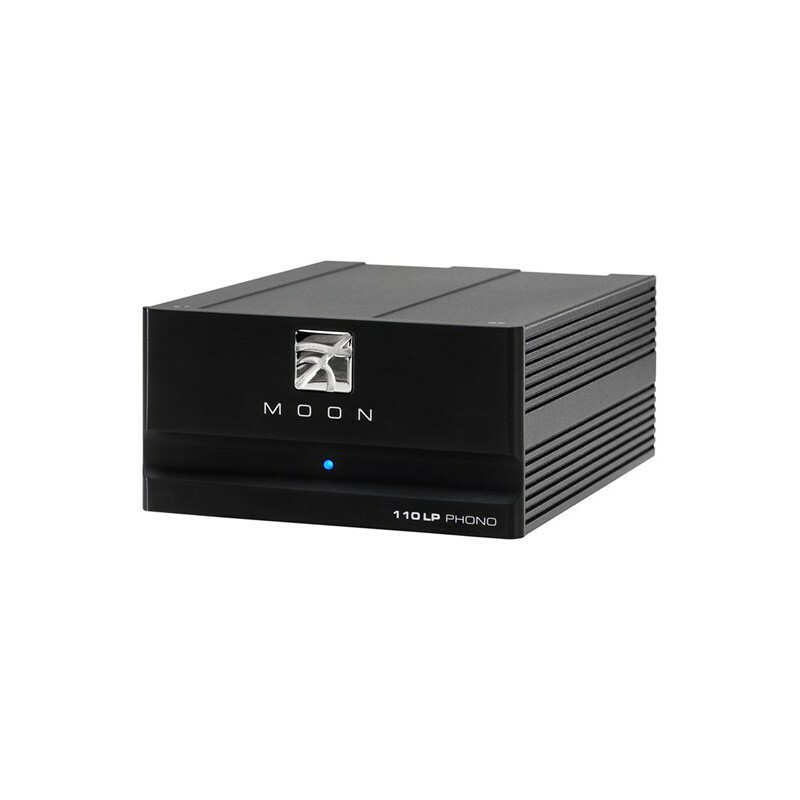 The frequency response does not match that of products worth twice the price, but within this range, few preamplifiers have a bass as wide and a treble as open as this! 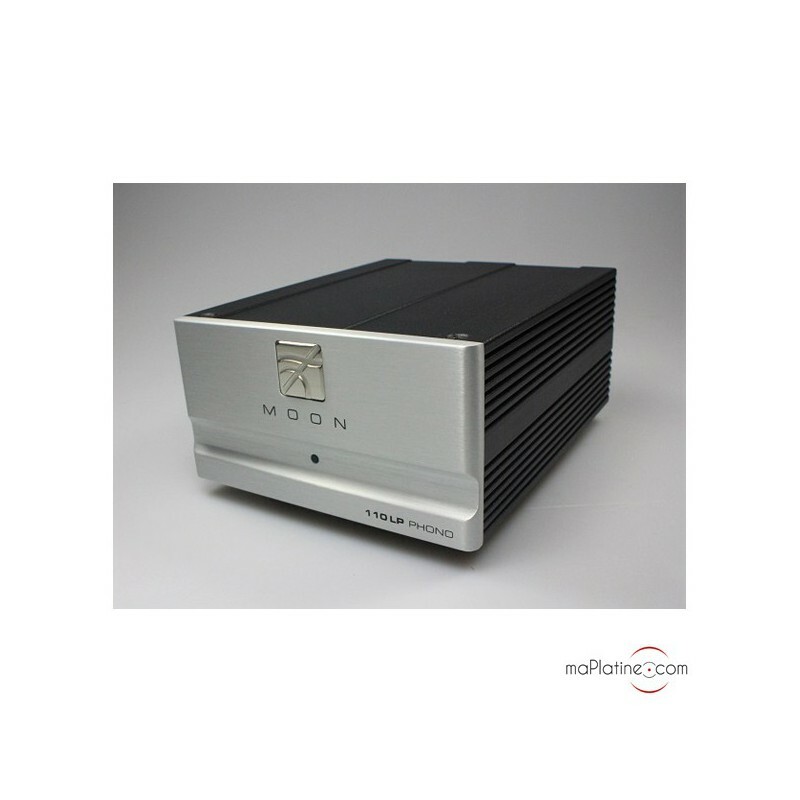 The bass lines are well articulated and very subtle. And the mids are also to be reckoned with. The vocals are very precise and extremely open.